Shiva hours: Monday following burial until 4:00 p.m. and from 7:00 to 9:00 p.m., Tuesday and Wednesday from 2:00 to 4:00 and 7:00 to 9:00 p.m. Evening services at 7:30 p.m. Monday to Wednesday. We are always sad to hear when a family loses a beloved matriarch. Our very deepest sympathies to everyone. Dear Sharon, Peter and family, Our deepest sympathy on the loss of your mother and grandmother Sincerely, Michael and Rhonda Pearl. Dear Family, my condolences to all of you. Connie and my mother were always such good friends and we she will always be remembered as a lovely, kind and gentle person. we send our deepest sympathies to you all at this difficult time, may you find peace and inner comfort in the following months. Dear Renalee My deepest condolences to you and your family. Dear Dr. Gore, Our condolences to you and your family for your loss. Renalee and family, my deepest sympathies for your loss. May your memories bring you comfort. My deepest sympathies to you Renalee and your entire family! My thoughts and prayers are with all of you during these difficult times. Dear Dr. Gore and Family, Our sincerest condolences on the loss of your dear Mother. Dear Sharyn, Peter, Alivia, Justin, and Greg, and the Gore family. Our sincere condolences on the loss of your mother and grandmother. Your hockey partners Gary, Matthew, Zack, and Inna, Emily, and Maggie. My deepest sympathies to Clifford, Brian, Sharyn, Marcie and all of their families. My thoughts and memories are with you. My sympathy Renalee!My thoughts and prayers are with you at this time. Dear Sharyn and Family, My deepest sympathy on the loss of your mother. May you know no more sorrow. Dear Renalee and Family, My deepest condolences to you and the members of your family on the loss of your beloved Mother. May you and the members of the family be spared further sorrow. Dear Dr. Brian Gore and Family, My sincerest sympathies to you and your family for the loss of Connie. May you and your family slowly begin the process of healing. Dr Gore & family our condolences on the loss of your mother. Dear Dr. Gore and family Our deepest condolences. Dear Dr. Gore and family, please accept our condolences for your loss. Please accept my sincere condolences at your loss and my wish that a lifetime of memories since the days on Wiseman Avenue comfort you and bring you peace in this difficult time. To the Gore family, My condolences on your loss. May you be comforted with warm memories. Dear Sharon and family, I am so very sorry for your loss. May you find comfort in your memories. Be well! Dear Yvonne and Brian and to the whole Gore family: we share your pain and we will always remember Connie's sweet and kind smile. May her memory be a blessing. Dear Gore Family, Our deepest sympathies on the sad loss of Connie, your Mother, grandmother, mother in law and our cousin. She was a dear friend(and cousin) to my late mother Lynne and father Hy. May her memory be a blessing. Karine ,Natalie and Family My most sincere condolences on your loss. May you know no more sorrow. Dear Clifford and family, Please accept my condolences. I am so sorry for your loss. Baruch Dayan HaEmet. Surrounded by her loving family, on Friday, April 12, 2019. Beloved and adored wife of the late Harry Gore for seventy-six years. Devoted and loving mother and mother-in-law of Clifford Gore, Brian and Yvonne Gore, Renalee Gore, Sharyn Gore and Peter Wainberg, Marcie Gore and Jeffrey Macknofsky. Cherished grandma of Karine and Dan, Natalie, and Matthew Gore; Katie Seline and Omar Husain, Hallie Seline; Alivia, Justin and Gregory Wainberg; Brandon and Gina, Amber, and Ryan Macknofsky. Proud great-grandmother of Emma Sophie. Dear sister and sister-in-law of the late Joe and the late Elizabeth Bercusson; and sister-in-law of the late Jack and the late Susan Goresko, the late William Goresky, the late Tammy and the late Jack Spivack. Connie will be sadly missed and fondly remembered by her many nieces, nephews and by all those whose lives she touched. Special thanks to her caregivers, Gloria, Sheila and Allen, as well as the staff of 3 North at Maimonides Geriatric Centre for their care, kindness and devotion. Funeral service from Paperman & Sons, 3888 Jean Talon St. W., on Monday, April 15 at 12:00 noon. Burial at the Temple Emanu-El-Beth Sholom Congregation Section, Eternal Gardens Cemetery, Beaconsfield. Shiva at her daughter Sharyn’s home through Wednesday evening. 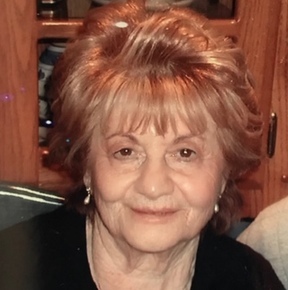 Contributions in Connie’s memory may be made to the Donald Berman Maimonides Foundation, (514) 483-2121 ext. : 2207.